AirClima is specialized in the installation of quality air conditioning systems by the best brands and operates on all of Milan and its province providing a timely and professional service in all circumstances. 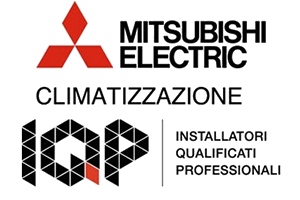 We are partners of Mitsubishi Electric and all our technical staff has refrigeration license. For over 30 years, thanks to a constant updating activity, we can boast an indisputable professionalism in the installation of air conditioners and air conditioning systems for any residential or commercial use. We can offer our services throughout Italy, installing air conditioning and heating systems, gas boilers, intake systems, solar panels, photovoltaic and other renewable sources, home automation systems, heat pumps, geothermal plants and much more. Below, some of the solutions for which we provide a complete installation service. We install Mitsubishi Electric air conditioners and direct expansion systems (split or channelled). Systems for residential or commercial use. Work performed according to law. We design and install geothermal plants and geothermal mini plants. Eco Construction at your service. Innovative, to residential and industrial use. We install systems Daikin VRV and Mitsubishi Electric VRF (variable refrigerant flow). How to use heat energy for free. We install heat pumps that can be used to increase the economic value of your property and its energy class. The radiant panels allow you to focus on an area the heat, with significant physical benefits. Suction of liquids, dust, mites and bacteria. We install high performance central vacuum systems to ensure you a house dust free and a life without stress. We install traditional gas boilers, condensing and hybrid systems with condensing boiler and heat pump. Heating panels and hot water. We install heating and plumbing systems for private, condominiums, companies and stores or small retailers.